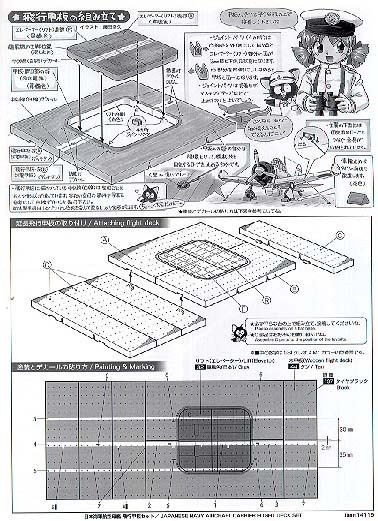 An ideal display base for 1/144 Sweet ZERO Fighter model and other 1/144 scaleJapanese Navy Carrier Airborne Aircraft Models. 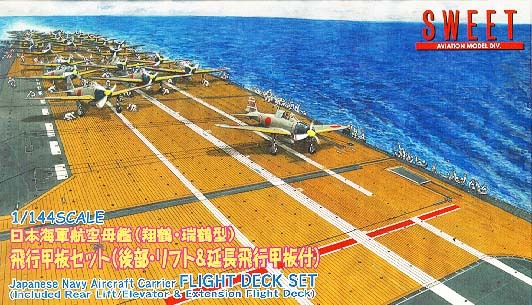 The kit Japanese carrier flight deck set is consisted of 8 major parts; Rear elevator section in 4-parts, and 4 extension deck parts which interlocked with small joint parts. 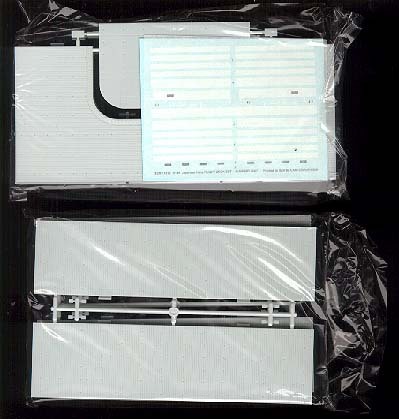 SIZE: 7 X 12 when it's built. 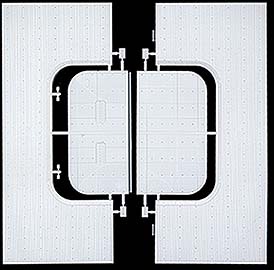 The lift is separate, and it can be level or lower positions. 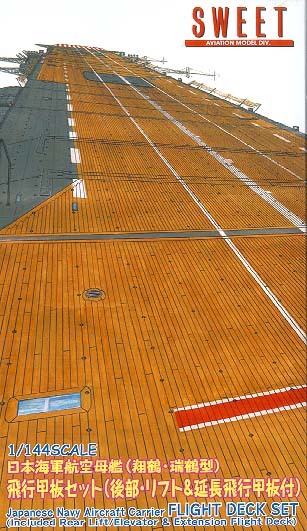 The deck surface depicts the distinguish Japanese Aircraft Carrier details; the lengthwise planked wooden deck with the steel lift. 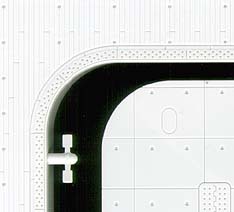 The tiny eyelets for tiying down aircraft are engraved realistically deep. You can see a tiny bar inside! The unique clam shell type wheel chokes built in the lift are based on the newly discovered information. Diorama A6M2 ZERO Fighter on deck of IJN Carrier "AKAGI"
Matthias Pohl from Germany sent us the photos of this great diorama, deck of IJN aircraft carrier AKAGI using SWEET ZERO Fighter kit (#14107), Japanese carrier flight deck (#14119) and AKAGI Fighter Group (Pearl Harbor) set( #14-D007). Keep up the good work Matthias ,Thank you!